that a new year brings. I love setting goals, making lists, organizing. We can be healthy together! 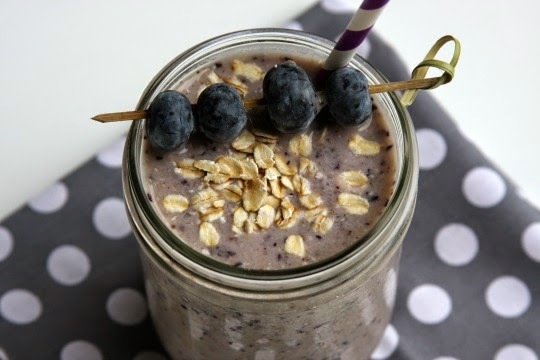 Smoothies make the perfect healthy breakfast, lunch or snack. They are so versatile - you can throw in whatever fruit you have available. I can make smoothies whenever the mood strikes. grocery list every week! We love them! 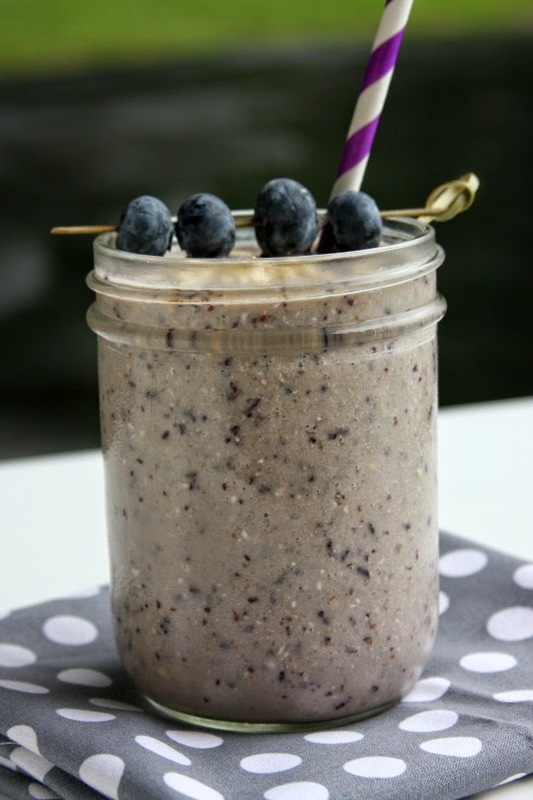 This Blueberry Oat Smoothie is one of my faves. a try. You can find the recipe here. Cheers to a new year my sweet friends! Top with oats if desired.